Portland's Celeste Lewis Architecture designs remodels and new homes custom-fit to you and the way you inhabit residential space. With careful listening and planning, we give you the ability to imagine the space of your dreams and fulfill that plan with the delivery of a beautiful, common-sense residential design. As a residential architecture firm, we're direct, on-task and get straight to the point: blending your ideas and lifestyle with concrete vision to create long-term satisfaction. Key to that satisfaction is the wise use of resources. As a Portland architect with over two decades’ experience in green design, Celeste Lewis designs remodels and new homes that not only use materials responsibly and optimize energy performance. They also maximize a home's most vital resource: space. Through skilled space planning and circulation design we can eliminate waste and “right-size" your home – good for your pocketbook and for the design integrity of your house. 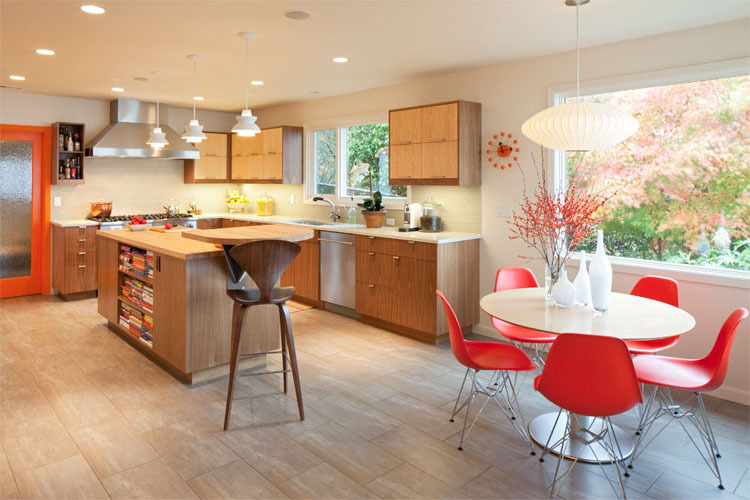 Whether you're planning a kitchen remodel, home addition, or new home construction project, the award-winning architectural and interior design talents of Portland's Celeste Lewis Architecture will help you create the perfect environment to work, live, and play. CONTACT US TODAY to get started with an onsite residential architecture consultation by Celeste.